Weekly Dev Update: 2017 March 17th - Prestige, Settlements and Capitals! 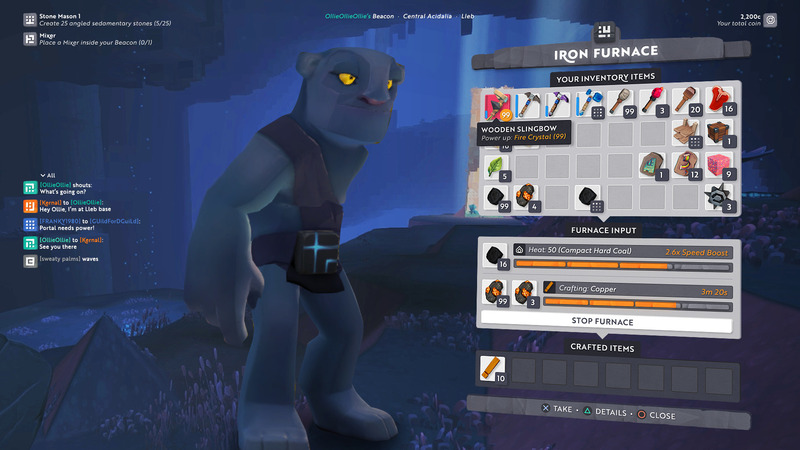 This week, we have been working on making sure the PS4 version is on par with the PC version of Boundless. We have seen quite a few people in the live server while we were testing the PS4 client. Dragon’s Watch and Pixel Gate seem to have something new everyday. If you are building new cities let us know through the forum. Keep up the awesome building everyone! We have also been testing the latest development version of Boundless that is planned for release next week. This release required some special attention as we’ve replaced the way all data (entities and chunks) are stored on the world servers. We’ve switched from using the filesystem directly to a local database per world. This makes the storage much more efficient, and scalable across all operating systems and their associated filesystems. Although this does not provide any new features directly for players, it is a huge change that will make the game run more efficiently and reliably. Next week, we plan to release the following. Server Local DB - as above. Planets can now have an elemental type, with the current ring worlds being allocated an element. The elements match up with the gem types of the planets, the planets atmosphere, and the creature elemental type. Some of the creatures spawned on elemental planets can then use elemental attacks. Settlement system - close beacons are ranked as a collective settlement. Resource system update - distributes resources more intelligently. Local World chunk caching - allows local caching of downloaded chunks. This will significantly reduce the bandwidth required to re-enter a world you’ve already visited. 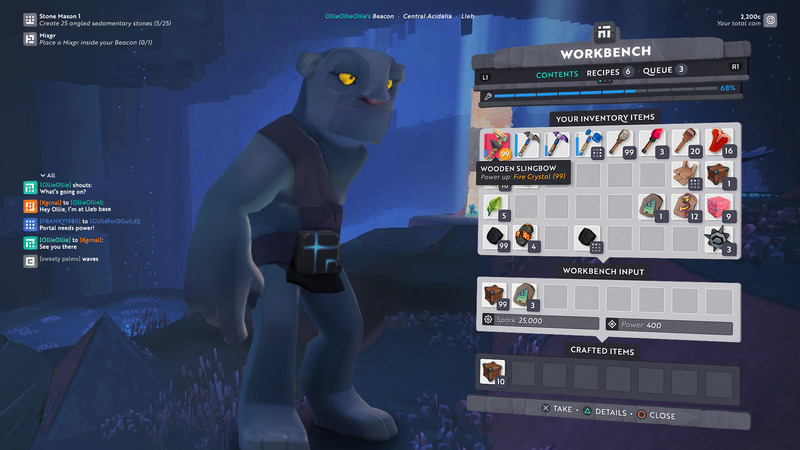 New GUI skin on the player inventory. We plan to gradually release the updated GUI screens as we transitions to the 1.0 skin. We have continued to refine the Cuttletrunk physical drag attacks and the effects to make it more readable. The targeting by creatures, such as spitters, is improved to deal with lack of line of sight cases. Creature despawning has been reworked so they persist for a while when users are not around, including the corpses. This means that if you die and return to the Sanctum, you can return to the world and continue the battle and collect any drops still unharvested. Corpses now become invisible once they have been harvested. Resource regeneration has being iterated and tested. 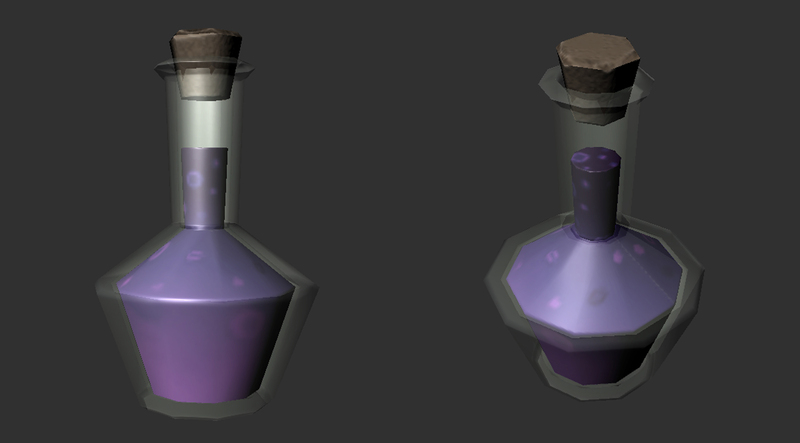 When released this will regenerate all of the worlds outside of beacons. It’s likely the worlds will be offline for a couple of hours when this update occurs. Worlds are now allocated an elemental type based on the gem type they have (namely ring worlds), or none for non-elemental worlds (spawn worlds). There is a chance that creatures on the elemental worlds will spawn with elemental variations and deal elemental damage. The first pass Settlements feature is implemented so groups of close beacons are given a unified prestige score and assigned a settlement type. Independent beacons can also achieve a prestige ranking. The largest contributor in the settlement has the responsibility to name the settlement, and the highest prestige settlement on a planet is the world’s Capital. The most prestigious settlements and beacons will automatically show up as locations for players looking at your world. We continue to implement the character skill trees. The GUI reskinning is working through the various screens. The daily and weekly objectives are functioning and are having extra rules added for more conditions. The chunk caching is being tested which will greatly reduce the amount of data people need to download when you in an area you’ve recently visited. We’ve are also experimenting with compression on the entity websocket data to further reduce network load (>2x) but at some CPU cost. We’ve been improving the PlayStation 4 performance including changing the memory allocator. This week @luke-turbulenz has been continuing to work with @AndyD on getting the new objectives in the game. He’s also been working on a whitebox of the next iteration of the Sanctum. We’re aiming to make the Sanctum a little larger, to include character creation, initial region / world selection, and a bit more tutorial. On top of that he’s been designing the new Campfire and Beacon persistence concepts. A campfire is a temporary single plot beacon which can be easily hand crafted, and used like a normal beacon, but will expire after a fixed duration. It’s great for building a temporary base to do some remote crafting on the go, or temporary storage. The idea of beacon persistence has been much discussed, and we can share some more concrete thoughts soon. Rob has been polishing up the Machine, Furnace and Crafting GUIs ready for the final update before 1.0. He’s also started looking at the impact of campfires and beacon persistence on the beacon GUI. @olliepurkiss has been continuing to work on the Forge design and data. He’s also started to write a tool to export Objective data. It’s been a busy week for art at Boundless terrace. Dom has been working on cuttletrunk VFX for the new behaviour we’re planning to release next week. 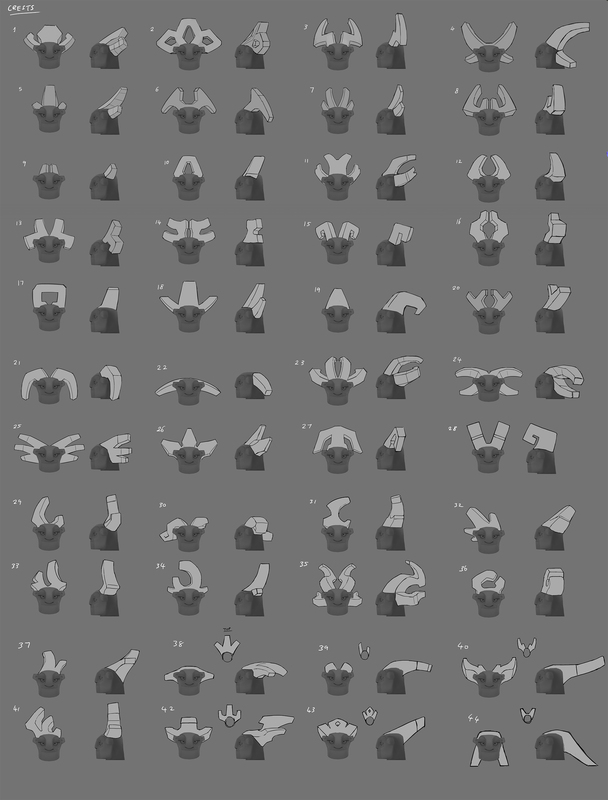 We have shared new concepts for natural props designed by @jesshyland (and @Minyi). She will go on to build, test and iterate across all biomes. We’ll be balancing these with a set of natural prefabs that we’re working on. More to come on prefabs soon. 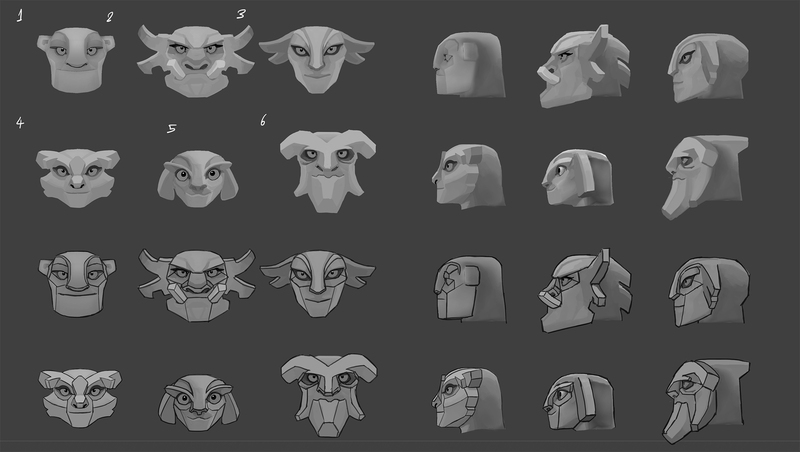 We have selected our seven face shapes for Race 01. These will go into production next week. It’s fantastic to see that face design No.6 has already been sculpted on Mount Oortmore by master builder @30nstillgaming. The team loves it when the community responds and surprises us in such a creative way. K§eep it up! 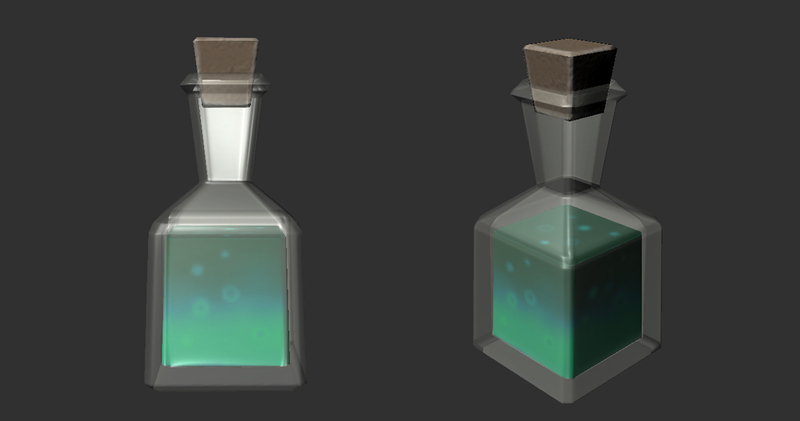 Ooh, different bottles … I’m guessing these are related to the natural props that @jesshyland is working on? Looking forward to the creature variations showing up, especially with the line of site changes! They won’t be shooting at me through half a mountain anymore! Is it still planned that these will have the “trunk” base to return to? Really, really like the new GUI screens! 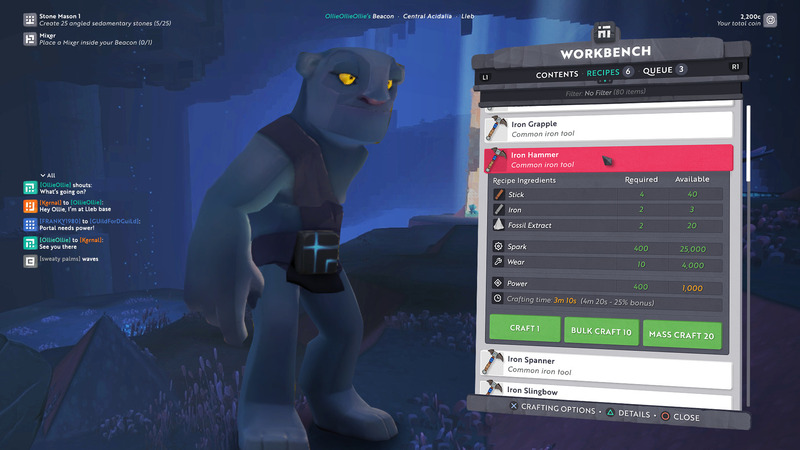 The crafting information looks a lot more fleshed out and intuitive too. Next week is going to be good! Creature despawning has been reworked so they persist for a while when users are not around, including the corpses. This means that if you die and return to the Sanctum, you can return to the world and continue the battle and collect any drops still unharvested. Corpses now become invisible once they have been harvested. Amazing stuff, really looking forward to it. 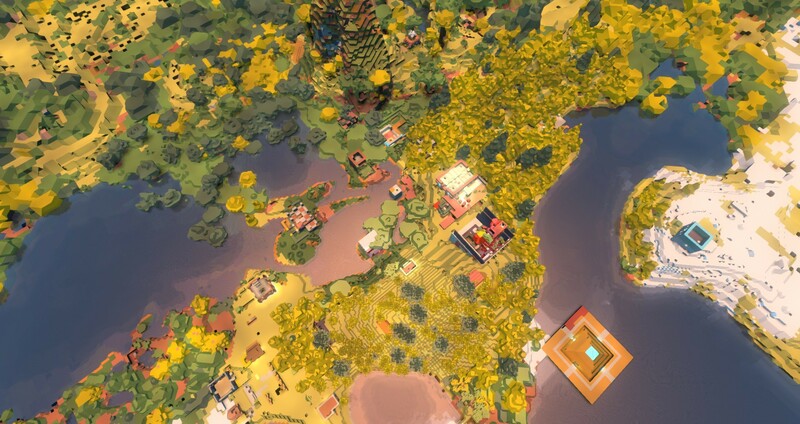 I think the world regen is definitely needed if we don’t want to live in a starter world full of half trees, big holes, trash and a lack of coal. I am drooling at the new chat features shown in the screenies, I see private tells & guild chat! I LOVE the new GUI screens! Great work all around. This gets more exciting by the week! Love the new gui-look, and everything else. 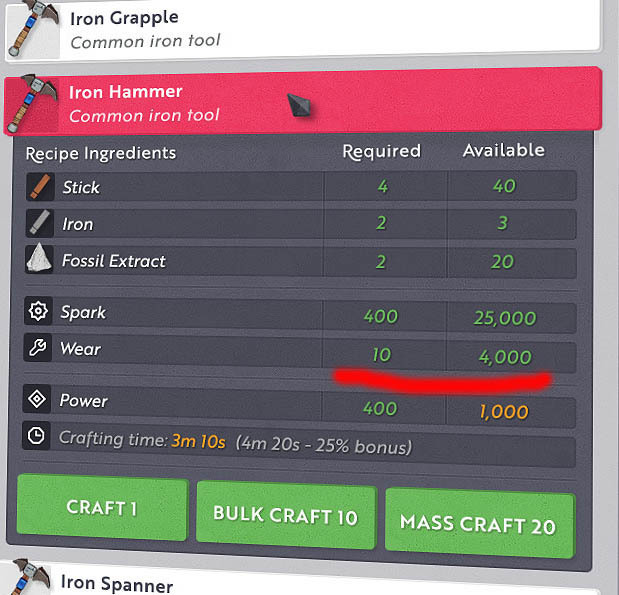 But get a little confused at the crafting screen, do i need wear to make stuffs? And where do i get wear? Hopefully those bombs get rid of the grass as I hoped, I know I have a weird love/hate relationship with grass. The GUI looks awesome, can’t think of anything to improve upon, but that’s just me. And the inclusion of elements sounds refreshing. This is just a placeholder graphic. You will notice everything in the list is using the iron shovel asset. They just wanted to show what it would look like to have spark required for a recipe. I love the transition from R to e in Required or Recipe. It looks very clear and neat. I wonder how many innocent letters gave their lives until this result was achieved. I have one gripe that I had hoped would be addressed in the gui update for the furnace. You put the furnace on the bottom, and the crucible on top; why then do you put the fuel on top of the ore in the gui? It feels counter intuitive. hehe, I just watched the video of you chasing the flying dev around, it was funny. when if at all will you add possibility to name/rename your character? This will probably come in when they open up the ability to create multiple characters per account - after the new sanctum and character customisation stuff would be my guess.